How Much Will a Conversion Cost? Home > Finance & Grants > How Much Will a Conversion Cost? A loft extension will not come cheap, but what you pay out you will normally make double that amount in the increase the loft conversion will bring to your property. A lot of people will see a loft conversion as more of an investment because any loft conversion cost you are able to make money from what you invest. A typical loft conversion can cost anything between £15,000 to £30,000 depending on how much work you need to do to the conversion and what furniture you buy, conversions can total up to £60,000 if you have a large loft that needs converted. Your biggest loft conversion cost will be the actual building work, this is likely to claim the bulk of your money. Your loft builders will take care of a lot of the building regulations but you may have to pay for the plans for your loft, which could cost anything between £500 to £2,000. 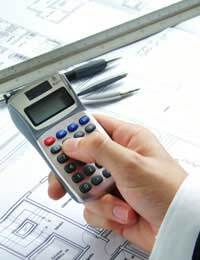 Once you have your plans drawn up you will have to submit them to the building control officer who will then prepare for a site inspection, which will add to your building cost. You will need to pay a plan fee of around £150 and an inspection fee of around £400 which will both combine to be your building notice charge, which will add to your loft conversion cost. You need to remember to allow for any extra costs that you may not necessarily think of that will add to your loft conversion cost. If you need to put up scaffolding you may need to pay a fee for this and then any permits needed to put the skip outside of your house. Once your building work is complete you may also then have to pay to remove any rubbish from outside of your house. Once you have the building work and the building cost out of the way you will need to think about how you are going to decorate the inside of the loft, which can add to the loft conversion cost sometimes just as much as the loft extension itself. Your staircase will cost anything between £2,000 to £3,000 if it has to be fitted from scratch, you will then have to but the handrails and banisters which will cost a couple of hundred pounds. Another big loft conversion cost that could dig into your building cost will be the windows for your loft extension. Windows will come in a variety of shapes and sizes so it is hard to determine how much the windows will cost before you have had them measured up. Prices will normally start at around £100 and work their way up depending in the size of the window, the larger your windows the more they will cost. It’s really up to you how much you want to spend on the interior of your loft conversion, you can buy furniture on the cheap and build it yourself or you can buy more expensive furniture. You will also need to budget for carpeting or flooring for the loft, and any other decorating you want to carry out. You should shop around and make sure that you get as many quotes as possible before you start your loft extension, as long as you go with a reputable builder you should not go wrong, but the more you shop around the better deal you will be able to get and reduce your building cost. Is Your Loft Conversion Worth It? Will a Loft Conversion Add Value to Your Property?